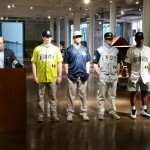 COLUMBIA, S.C. (WOLO) — The Columbia Fireflies unveiled their uniform jerseys and introduced the winners of the “Name the Team Contest” at a press conference at the South Carolina State Museum Wednesday afternoon. The Fireflies, in conjunction with the New York Mets, also announced their coaching staff for the 2016 season. The team will take the field at Spirit Communications Park in their home whites on Thursday, April 14. 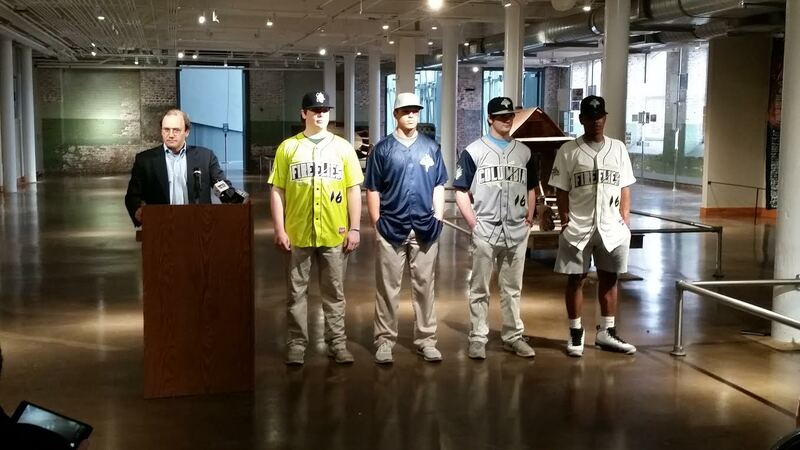 The Fireflies introduced all four uniform jerseys that they will wear during their Inaugural Season. The home jersey is white with navy piping and has the “Fireflies” wordmark across the chest, with the iconic Firefly on the right sleeve. The jersey that the Fireflies will wear for road games will feature a grey body with navy piping and navy set-in sleeves. The road jersey will feature the “Columbia” wordmark across the chest and the intertwined “CF”/flame logo on the right sleeve. For batting practice, the team will wear a navy mesh jersey with the iconic Firefly logo on the left chest. Finally, the Fireflies alternate jersey is a neon green-yellow with the “Fireflies” wordmark across the chest and the iconic Firefly on the right sleeve. The team will wear navy belts and socks. The uniforms were modeled by local high school baseball standouts Josh Hernandez (AC Flora), Coleman Pope (AC Flora), Justin Greider (Blythewood) and Max Lampl (River Bluff). @DreamOnDJ @RealUnthinkable Real punny guys. Reeeeal punny.